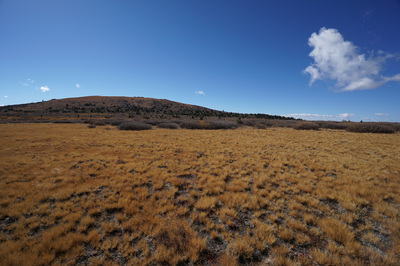 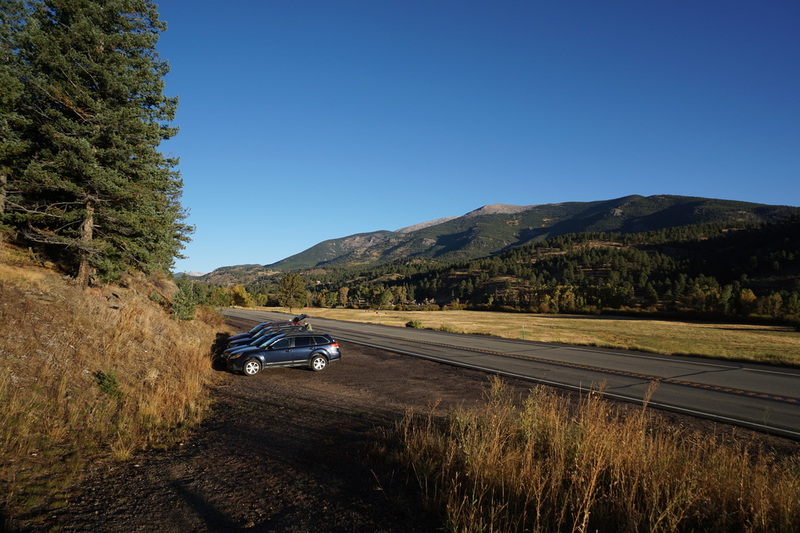 Directions: The Trailhead is located on Hwy 285 about 5 miles west of Bailey. There is a pull-out with enough room for about a dozen cars. 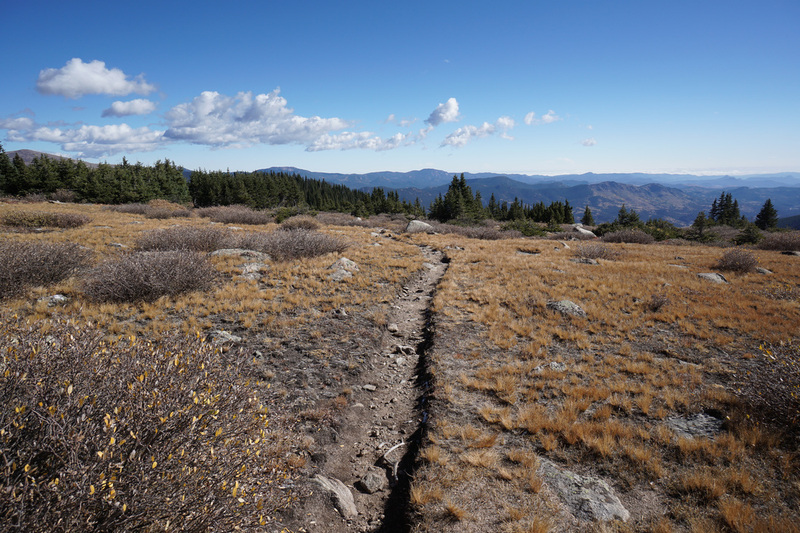 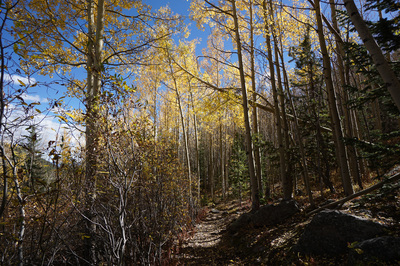 Be sure to get to the trailhead early on Fall weekends as it fills up quickly. 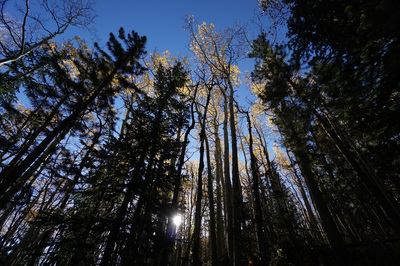 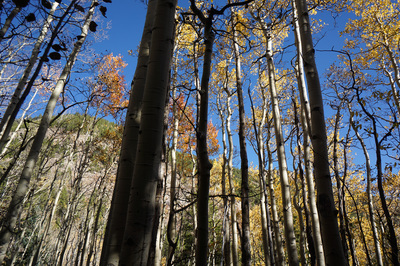 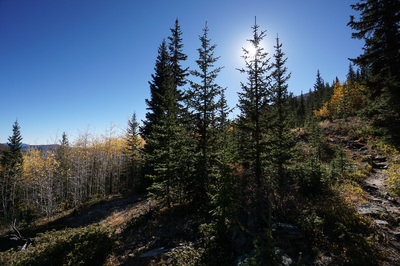 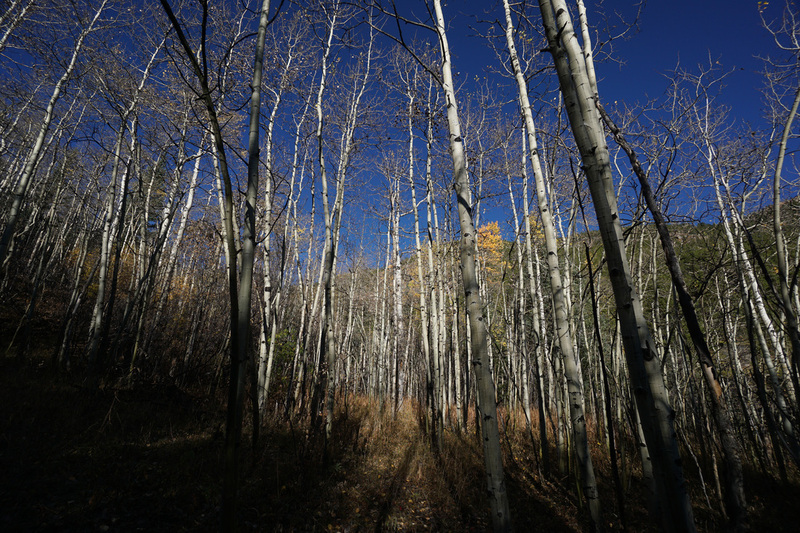 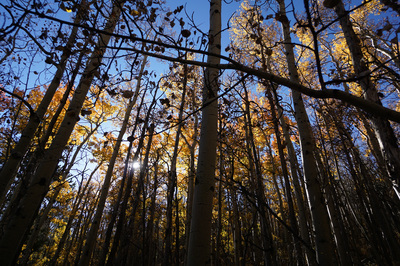 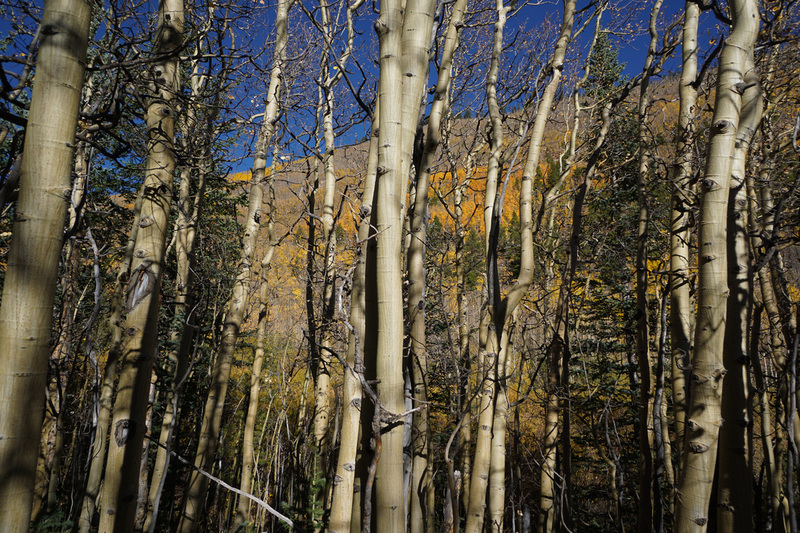 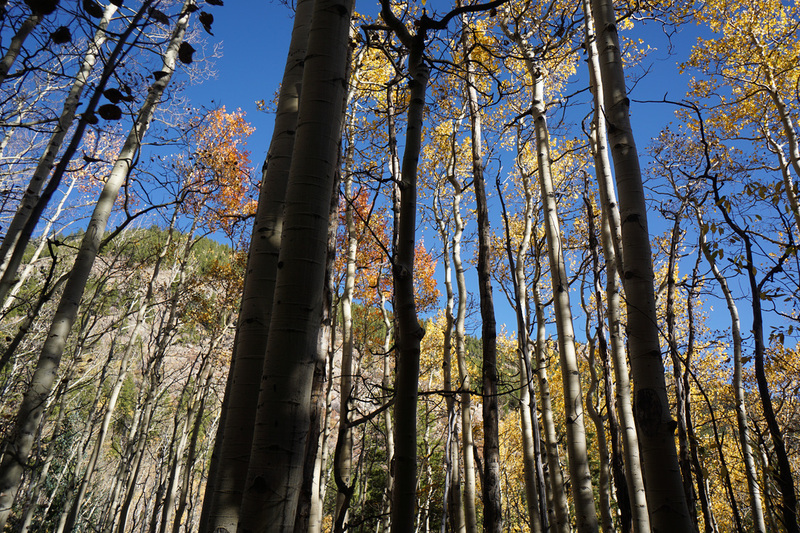 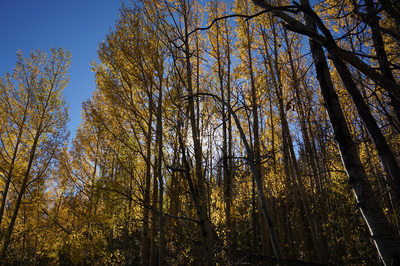 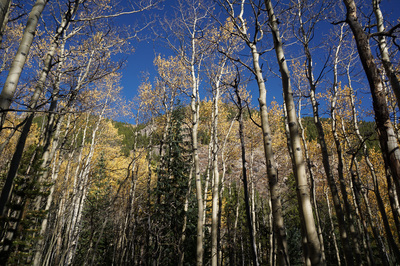 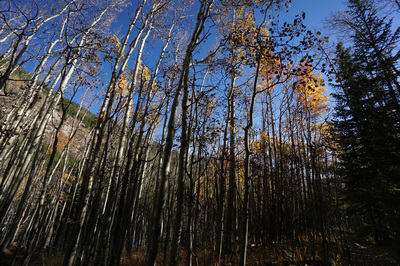 The aspen grove can be reached after a relatively easy 2.5 mile hike, however the hike through the aspens to the saddle along the Kenosha Mountains is 6 miles one way. The hike is long and gets steep and rocky in a few sections, but it is amazing. The views from the saddle are incredible. Not only do you look down on the majestic aspen grove but you are also a stones throw away from South and North Twin Cone Peaks and get a view to the south of South Park and the Collegiate Peaks beyond. 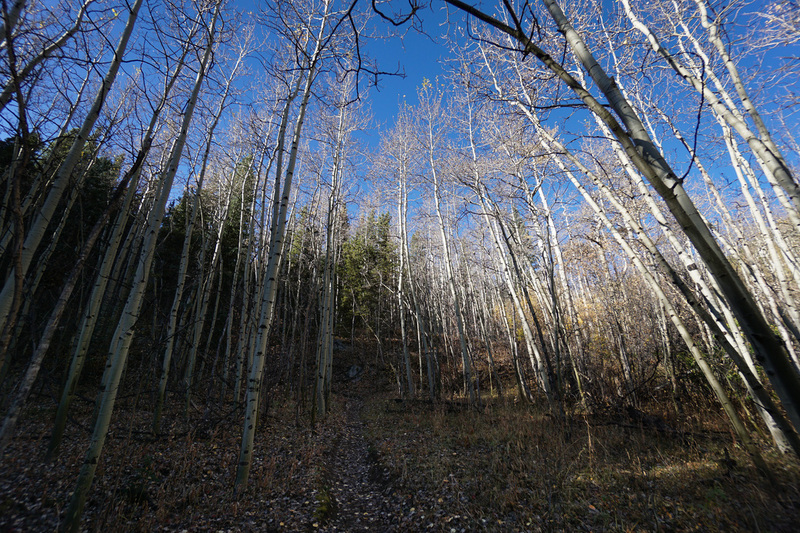 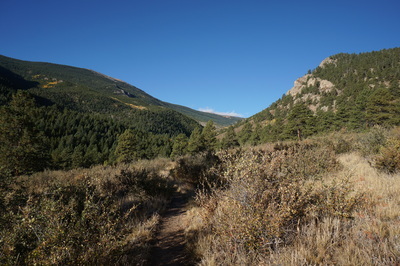 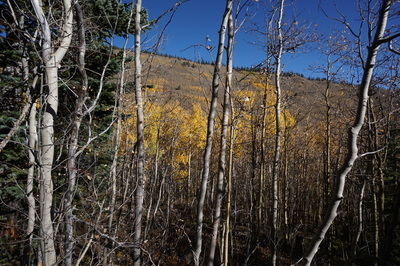 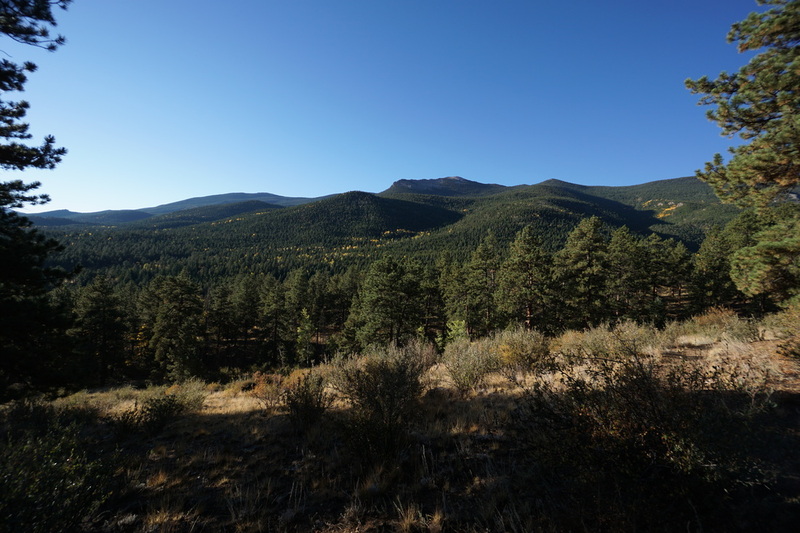 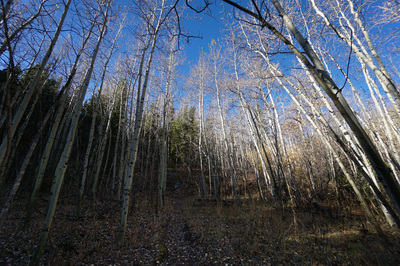 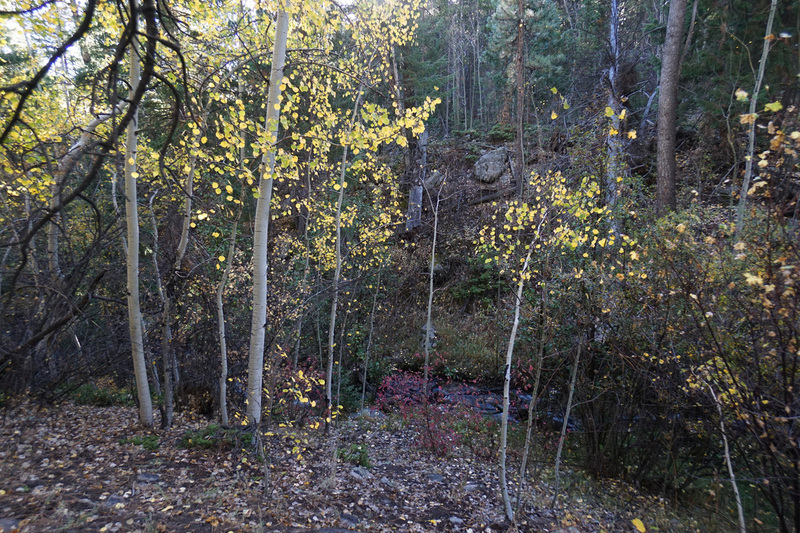 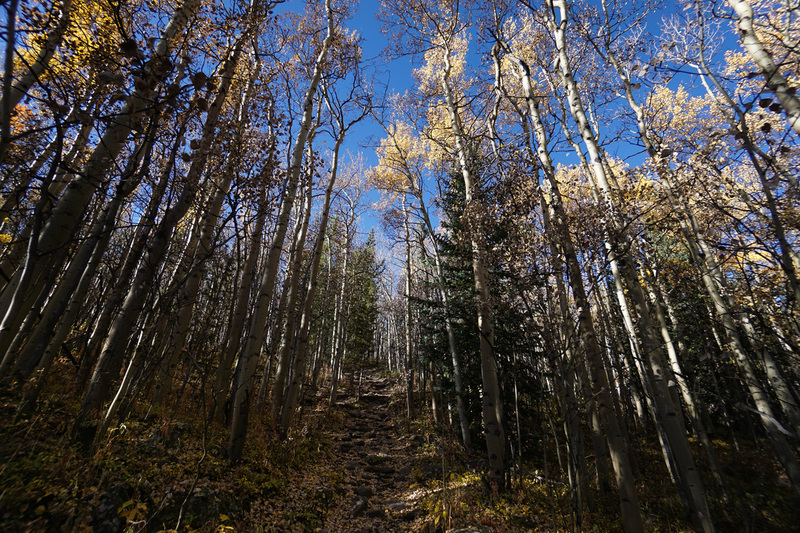 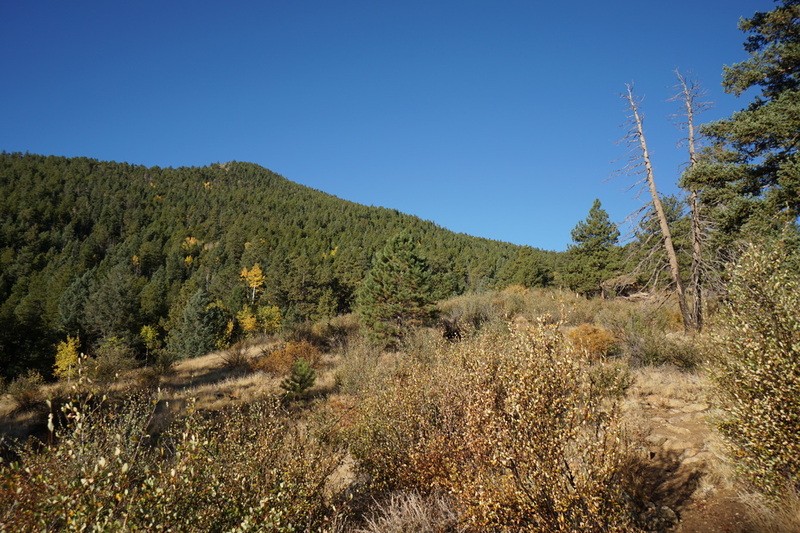 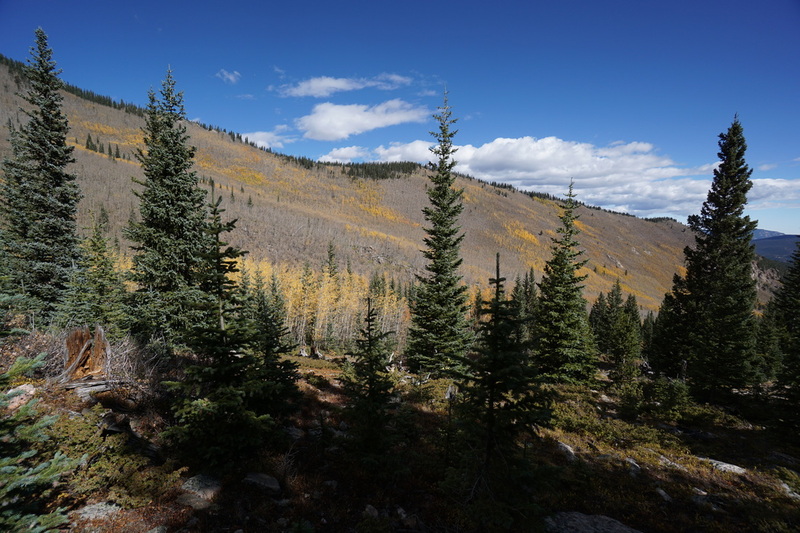 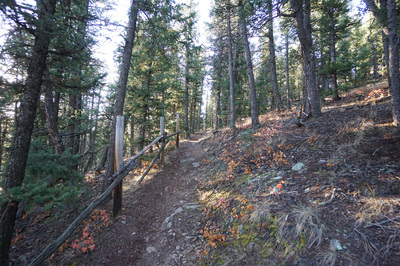 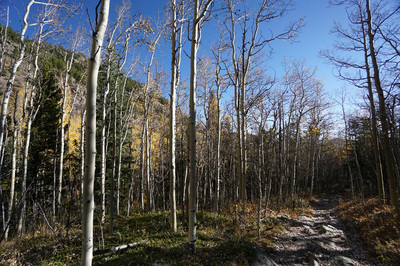 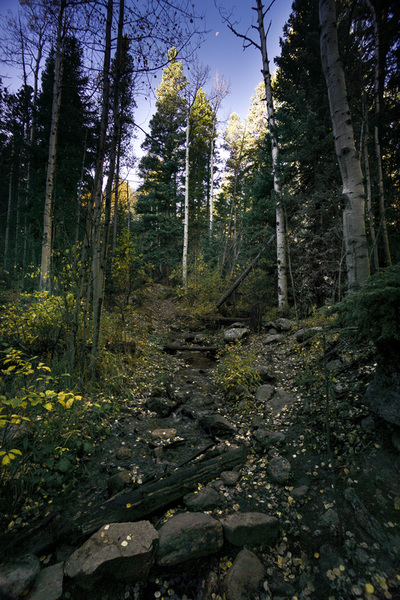 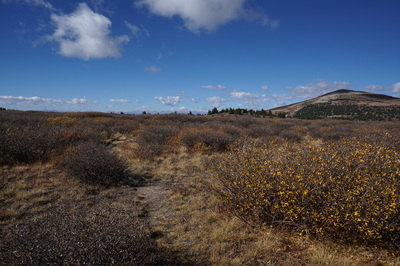 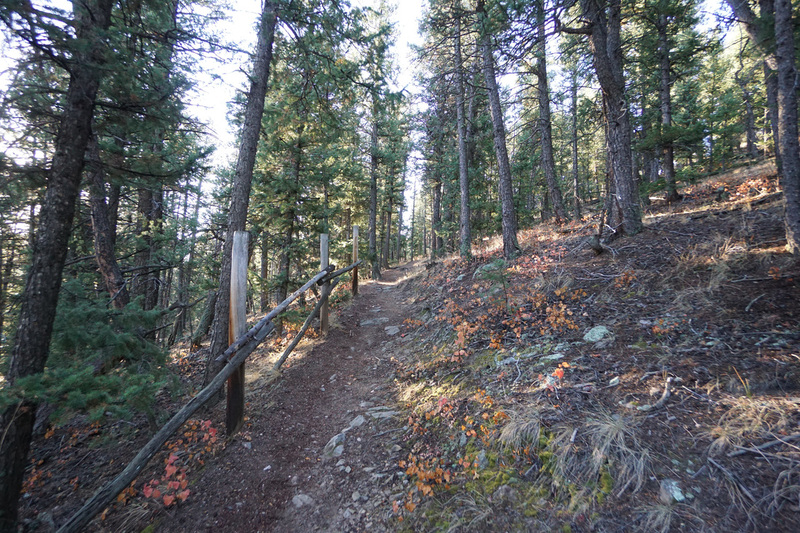 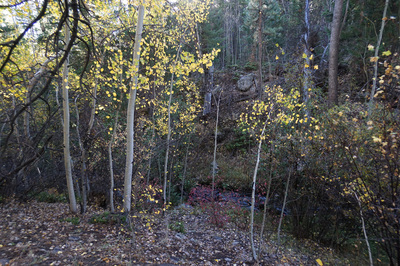 The trail stars with a series of switchbacks through dry forest dotted with aspens. 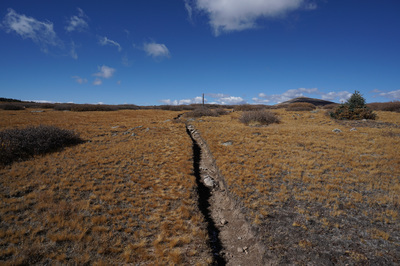 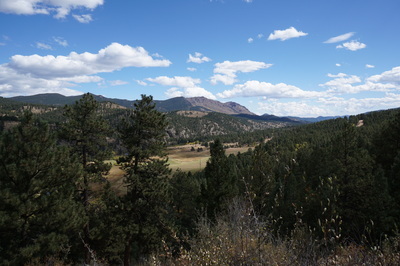 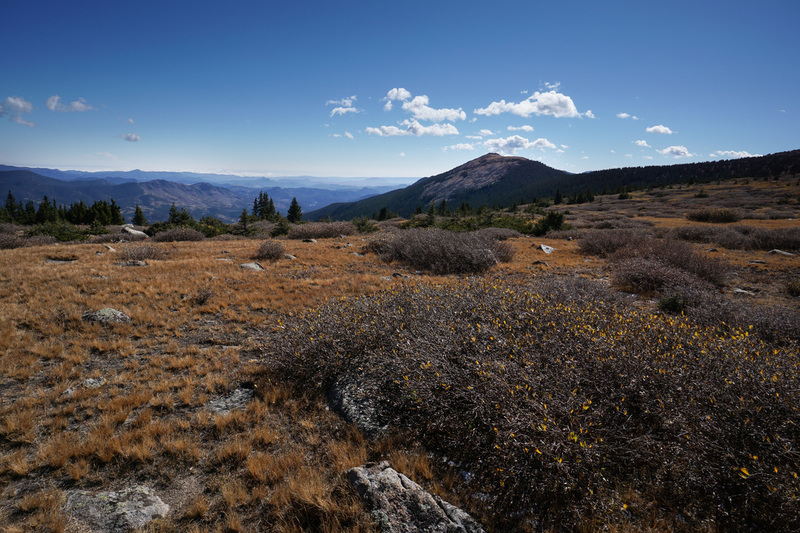 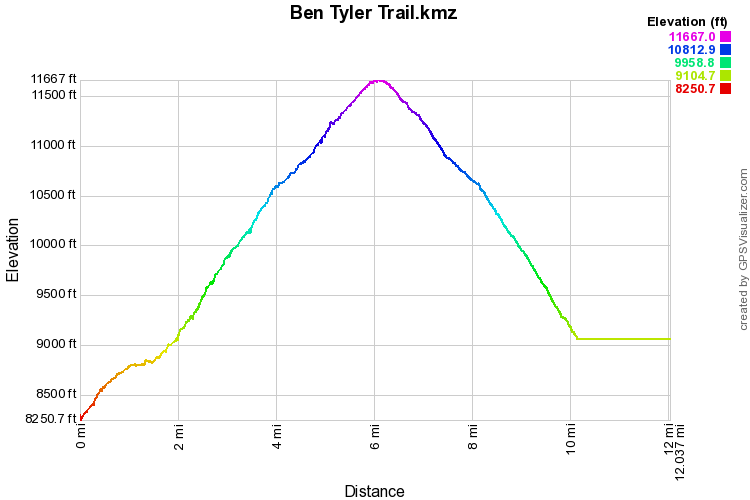 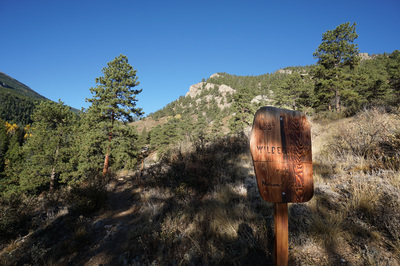 You hike over a ridge or two before entering Ben Tyler Gulch. 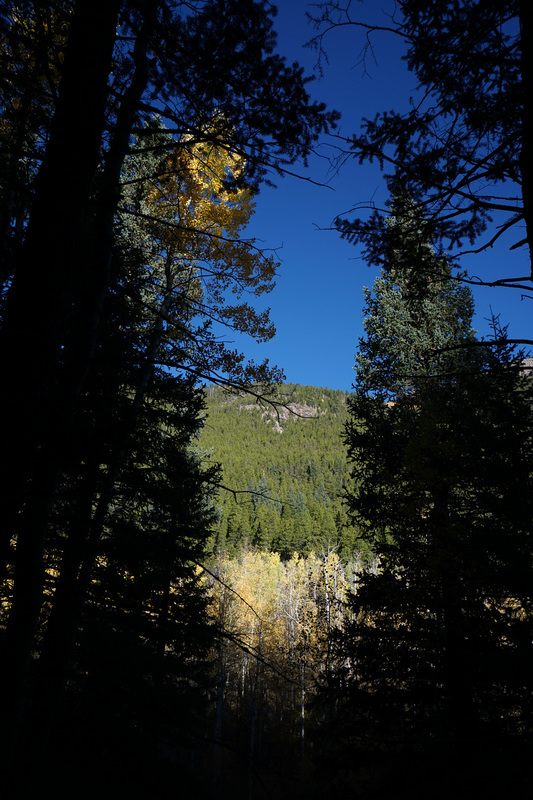 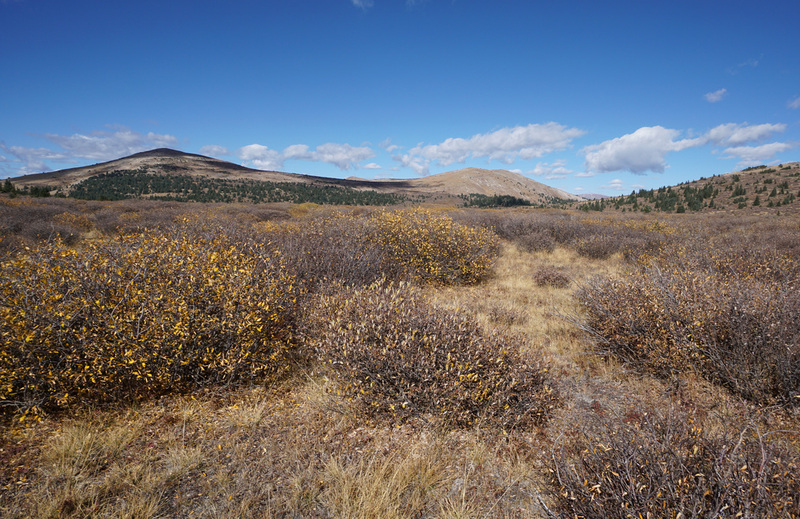 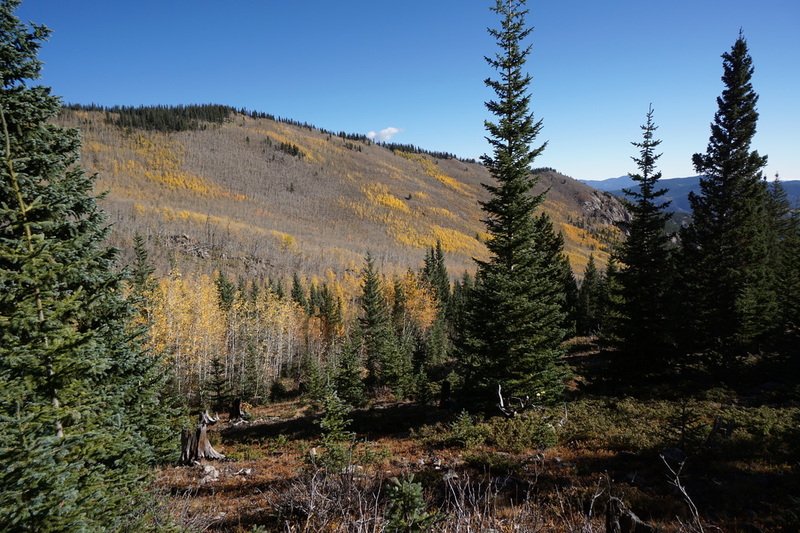 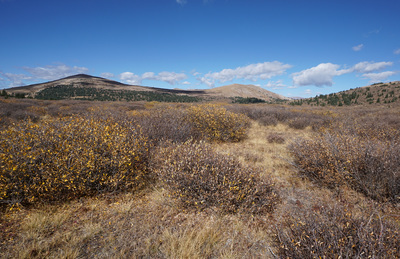 From here it is a straight shot up the gulch, into the Lost Creek Wilderness Area, and into the aspen grove. 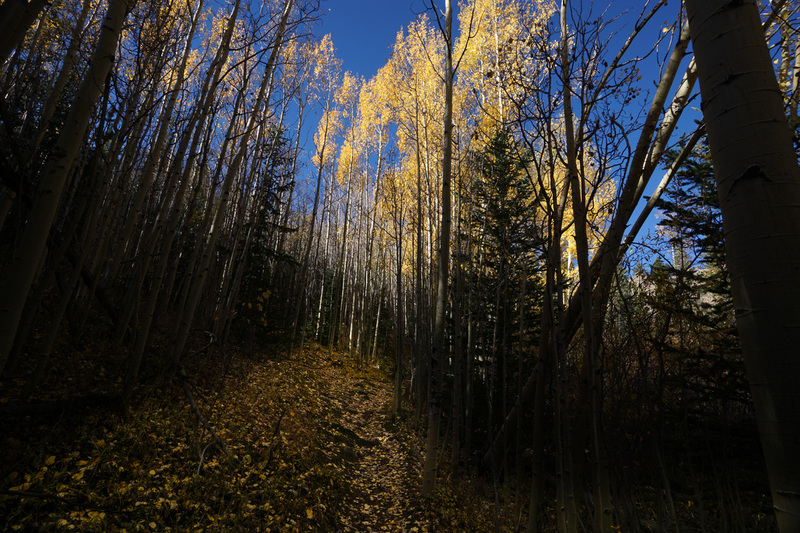 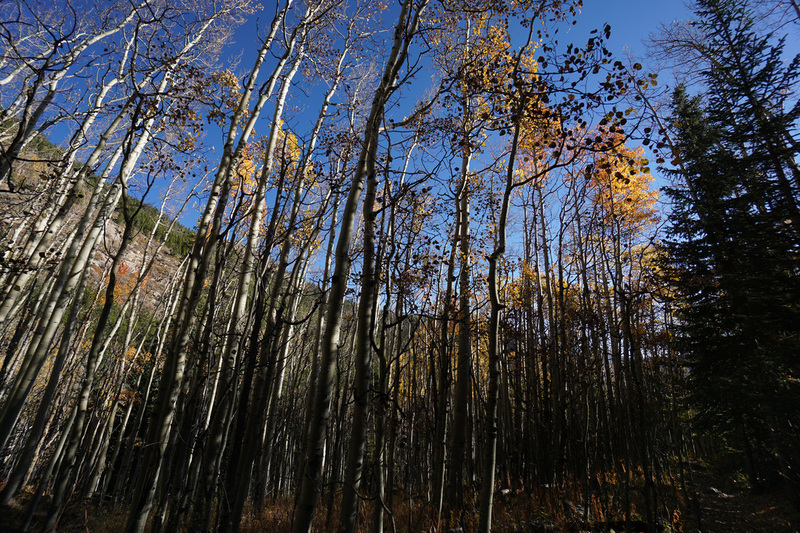 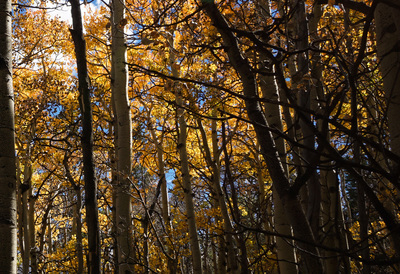 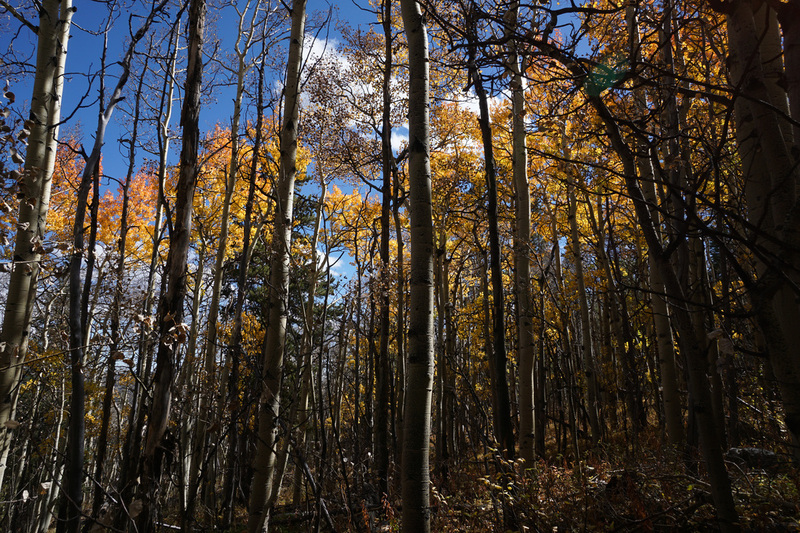 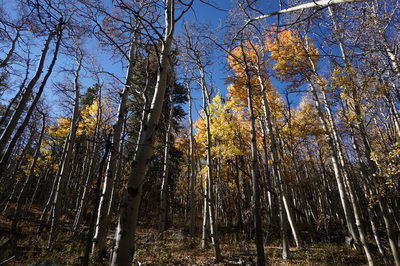 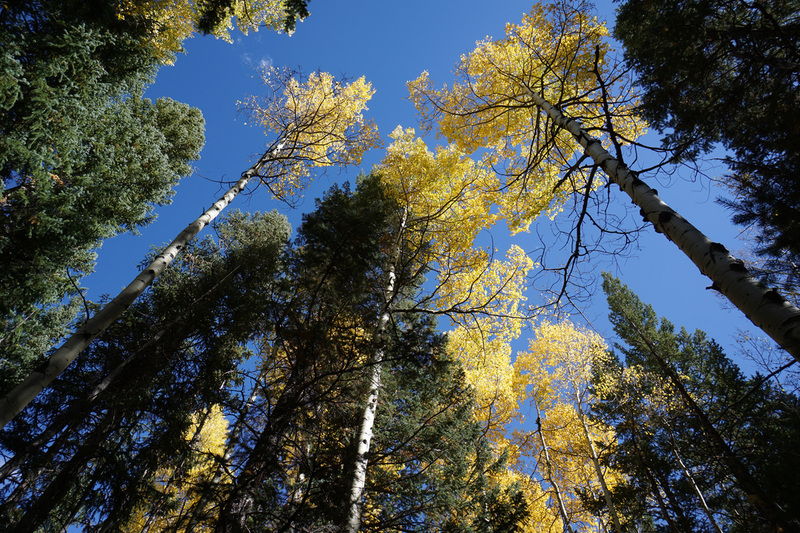 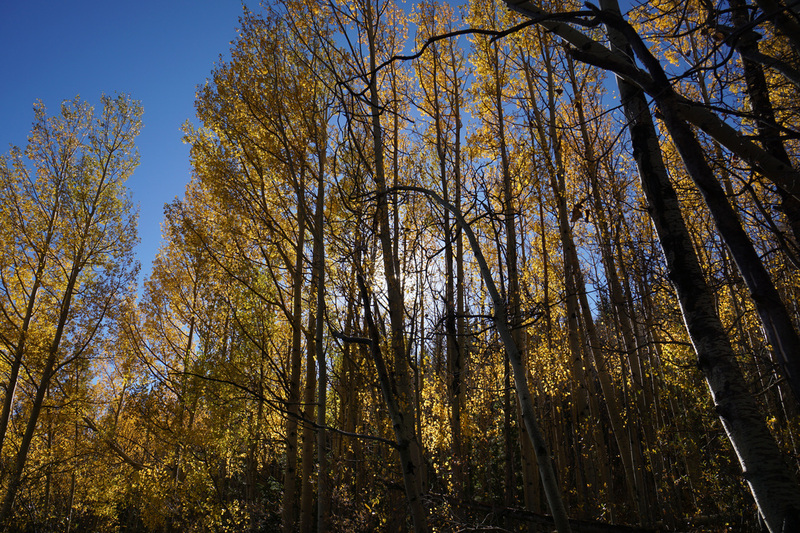 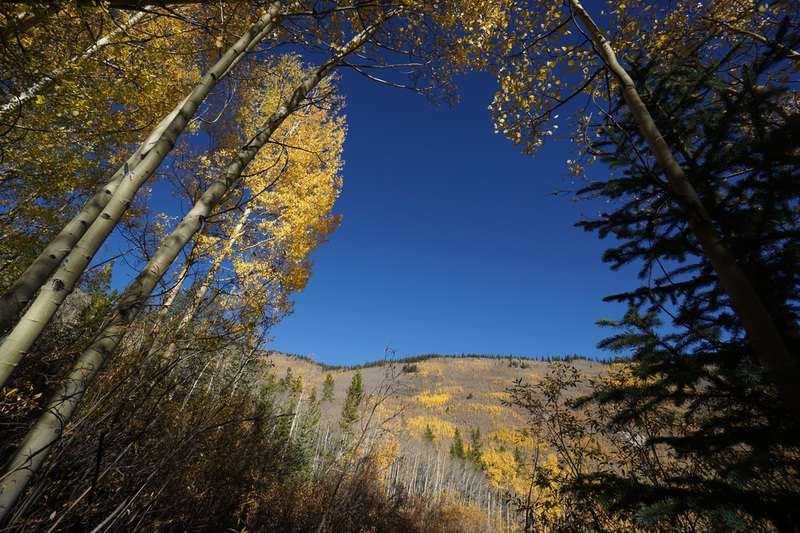 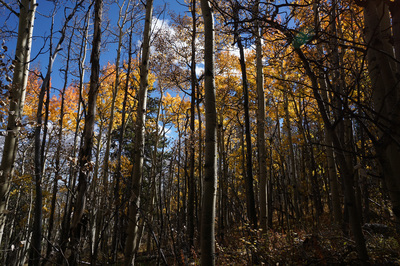 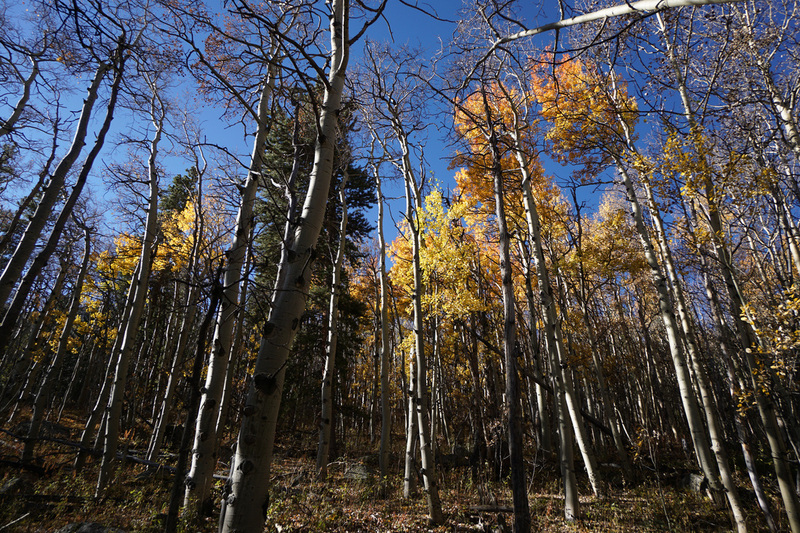 Once you find yourself surrounded by the warm aspen glow, you are immersed for the next 2.5 miles. 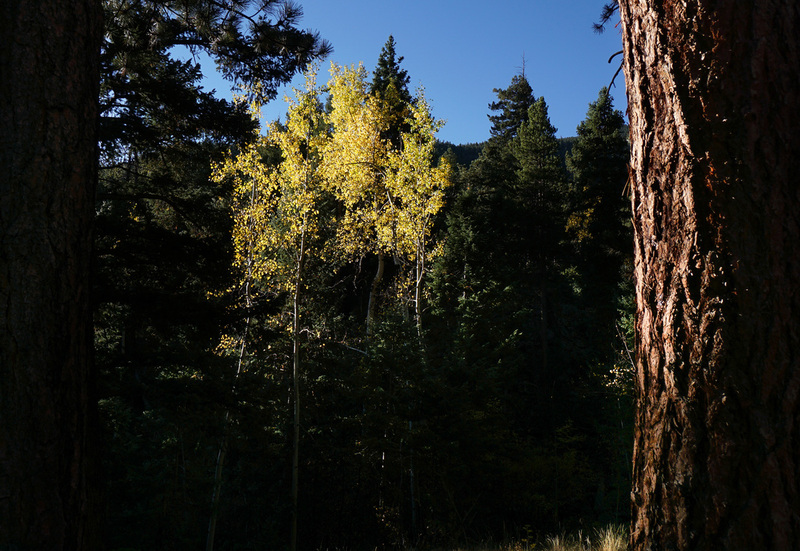 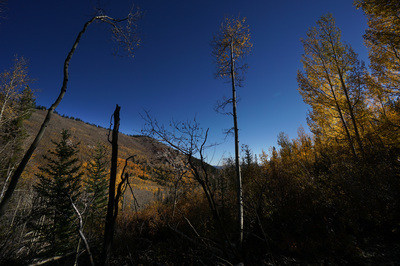 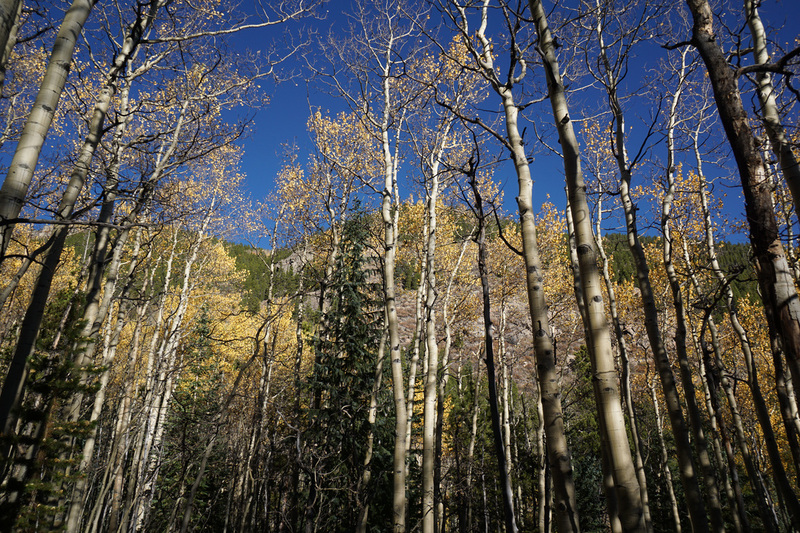 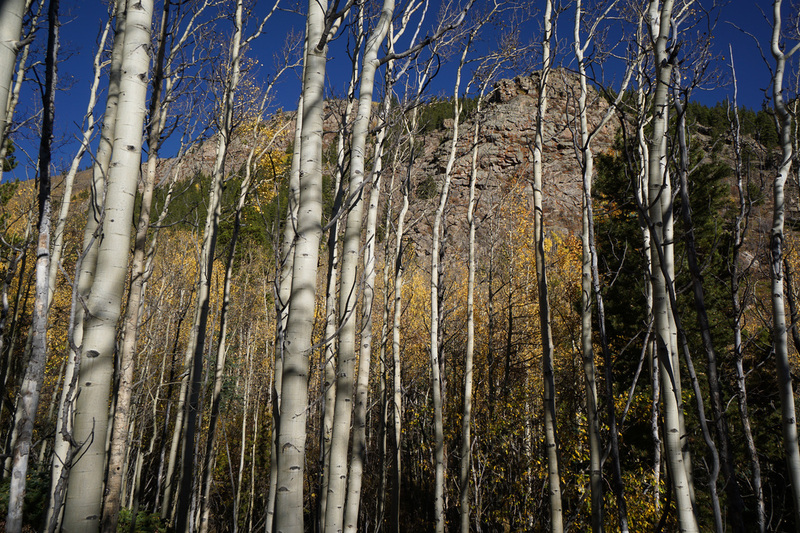 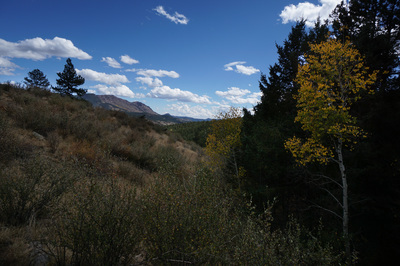 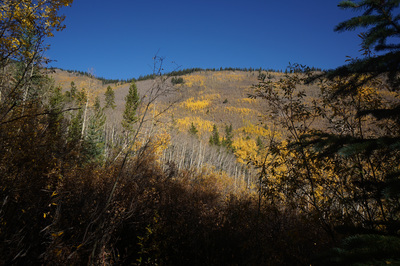 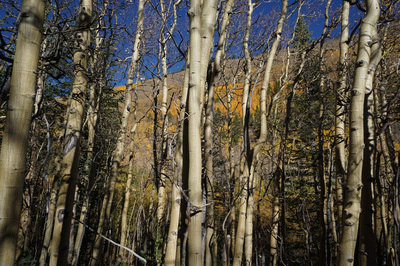 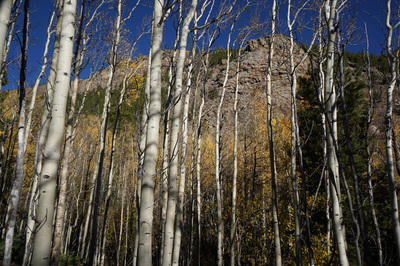 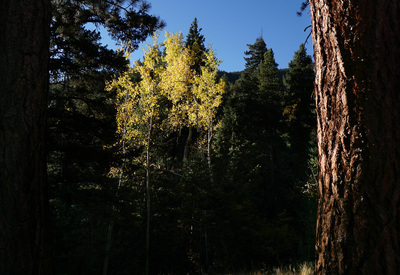 The aspens are beautiful and the views up the side of the gulch provide a truly majestic scope of aspens. As you get higher the trees get shorter and shorter until you eventually leave the grove and reenter the evergreen forest. 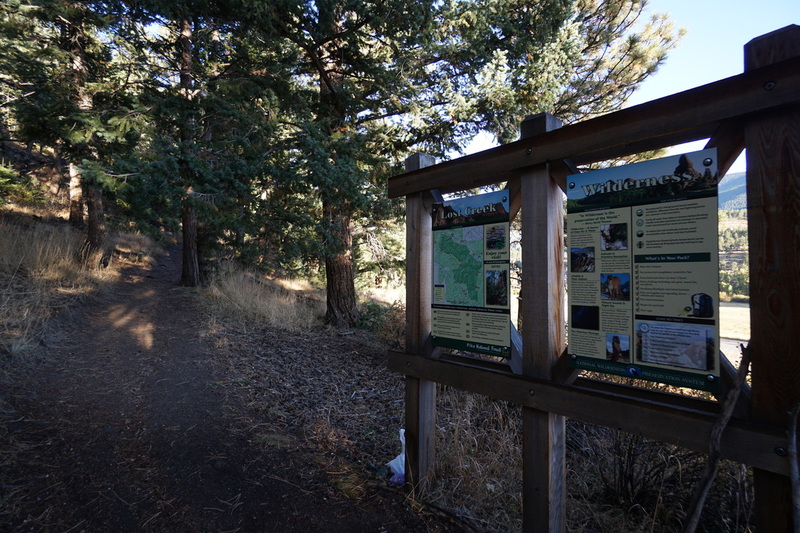 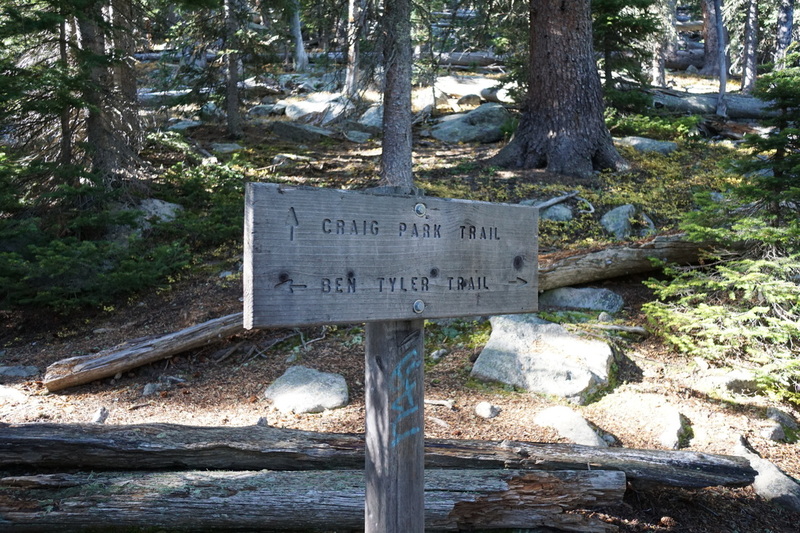 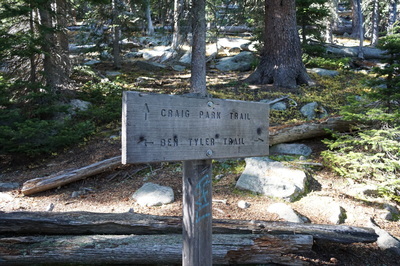 At the 5 mile mark you reach the junction with the Craig Park Trail, turn right here to continue on the Ben Tyler Trail heading up the gully. 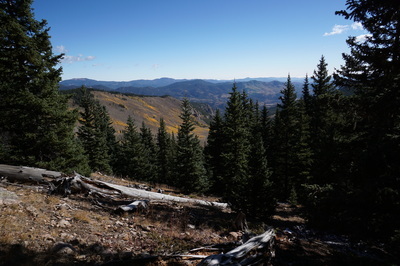 Before long you break through tree line and a mile from the trail junction your find yourself on top of the Kenosha Mountains ridge. 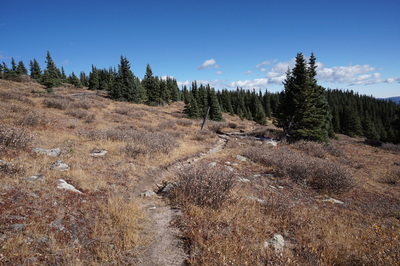 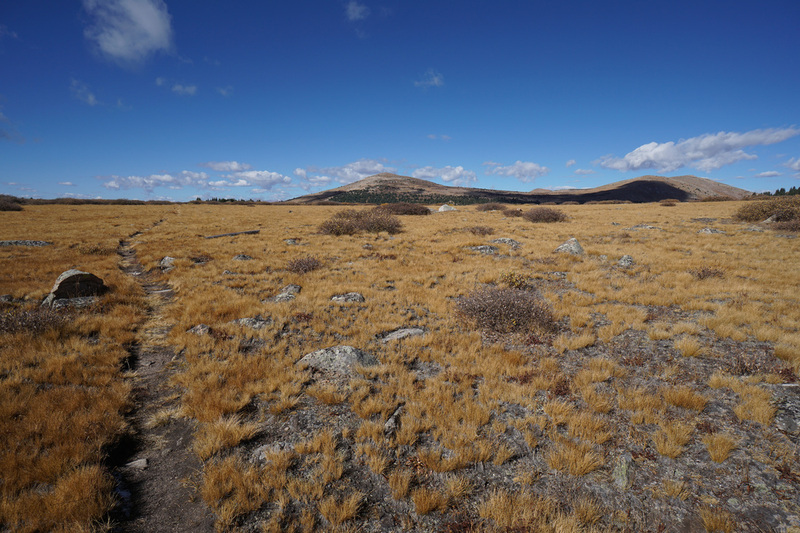 The saddle is on a large wide ridge and there is plenty of room to explore, if you have any energy left continue south to a rock outcrop for views down across South Park. 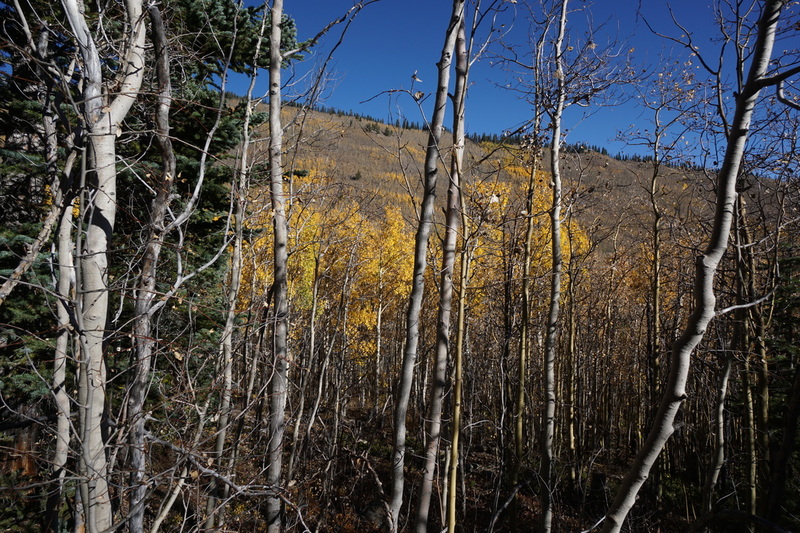 In the fall the saddle is golden, barren, and beautiful.